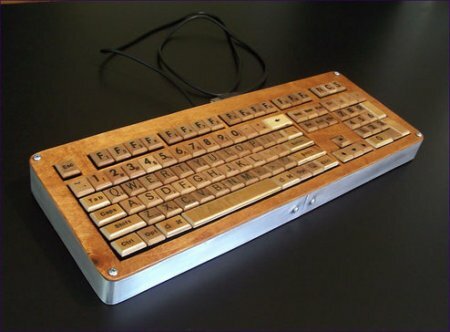 If you have a great love for the game of Scrabble and want something unique to commemorate your hobby, why not check out this DIY Scrabble keyboard? It is a beauty no matter how you look at it, featuring both wood Scrabble tiles as well as brushed aluminum for that elegant look. The points on individual letters have been modified though in order to display the key’s secondary function. Having one of this clearly beats the rush of making a word out of your initial rack. Too bad this isn’t going to be mass produced, otherwise it would rake in a handsome amount for the manufacturer.